We’ve seen enough link posting scams, and Learn How To Academy is a new addition to the list. Watch out for these red flags if you come across Learn How To Academy, and remember not to provide any information for them. 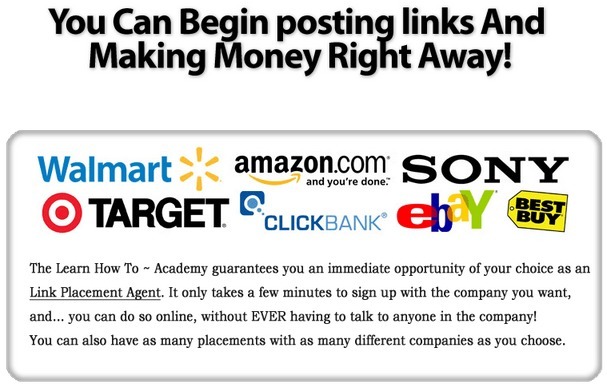 Learn how To Academy one of the newer names employed by a series of link posting scams that have surface since 2013. 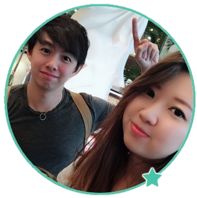 Although the name and website layout has been changed, it is basically the identical scam as Secure Home Profits, Ultimate Home Profits, and Home Career Starter. The contents of the sales materials and sales pitch are largely the same, although Learn How To Academy seems to be a “new and improved” version of the scam that features a better-looking layout. In this review, let us detect the red flags throughout the scam, from the homepage of Learn How To Academy all the way to the payment page. When you arrive at the homepage, the first thing you will see is the big red statement that catches your attention right away. On top of that, you’ll notice that the program is released exactly today! November 5, 2015 was the day I wrote this review, and you’ll see your current date if you’re on the page right now. This is just a computer script that displays the current date. Don’t be fooled and think that you have just caught a fresh opportunity, because this scam has been around for some time. To check for availability of slots, you’ll have to not only provide your name and email address, but also your phone number. Be very careful when there are unknown websites asking for sensitive information such as phone number and credit card details. Often times they turn out to be phishing attempts. Unless you know well that the company is reputable, refrain from giving out your phone number. I provided my old number that I usually use to review scam websites, and I received call from an unknown number pitching shady programs to me within the same day of this review. If you value your privacy and don’t want to get spammed, don’t give your number to Learn How To Academy scam. I’ll give you an inside view of what’s behind the homepage. Most get-rich-quick schemes operate based on generating a lot of hypes without giving out any concrete information. They pounce on people’s curiosity and make money when the unsuspecting victim purchases the program on impulse. Did you realize the inconsistency in their claims? In the homepage, you were promised to make up to $87/hr using their program. Just one page later, you are promised to make up to $500/day (by sparing just an hour, which means $500/hr) with the same program! Displaying desirable, high-end products and luxurious lifestyles have been proven to be an effective marketing trick to solicit impulse purchases. It’s justifiable if the opportunity can achieve what it boasts, but Learn How To Academy isn’t one of them. 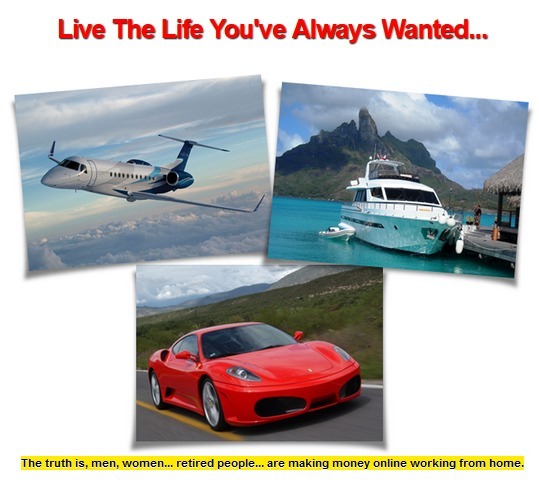 Yes, the truth is, there are people from all sorts of background earning money online by working at home. But you’ll soon realize that Learn How To Academy doesn’t provide a viable business model to make money online. Learn How To Academy claims that you can earn $15 just by posting a single link, using only one to two minutes in the process. Number one: Where are you going to post these links exactly? Do you create a new website, or do you post spammy links on various forums? I’m sure you have come across annoying spam links on major forums. Number two: Who is the one paying you money? The big companies? Why would they want to pay you good money to post some links? Or the earnings come from the customers? Why would anyone wants to buy things from some product links that you posted? I would rather go reputable websites like Amazon and BestBuy if I want to buy a product. Before asking for you to shell out your money, Learn How To Academy wants to make sure you are buy into the hype. So they created an interactive table to “estimate your potential income”. Of course, these parameters don’t matter at all. It’s just there to make sure you are delusional enough to think that you can earn hundreds everyday if you decide to be “hardworking” and work just a few hours a day. I don’t mean to crush your dreams and make you think that there’s no money to be made online. 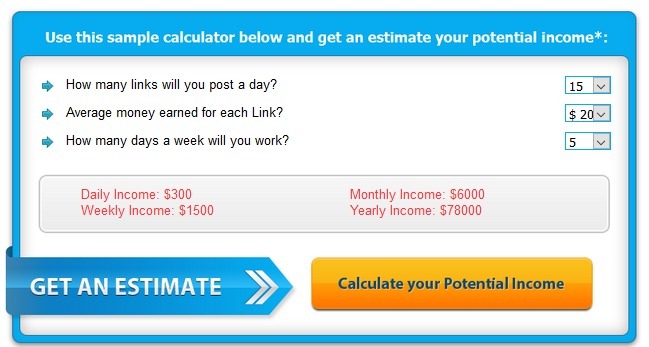 In fact, the income potential for online businesses are tremendous. But you need to use a legitimate business model that provides value to your customers (that’s the basis of a sustainable business), instead of buying into shady programs like this. We recommend a real business opportunity at the end of this review that we’ve used with success ourselves. At the end of the page, you are given a “special one-time” discount to buy the program at only $97.95. For someone who has believed everything presented and bought into the hype, investing just $97.95 to change your life definitely sounds like a steal. For the purpose of this review, I clicked into the payment page just to check out what they offer. As expected, I’ll gain access to Learn How To Academy after paying $97.95 through my credit card. I wouldn’t entrust my credit card details to a questionable company like Learn How To Academy though. There might be hidden charges secretly charged to your card over time. Just as I was navigating away from the browser, a pop up appeared. I was fully prepared for this pop up though, having reviewed duplicate scam sites like Secure Home Profits and Home Career Starter. Similar to its duplicate scam sites, Learn How To Academy triggers a $20 discount if you try to navigate away from the payment page. I can imagine some people falling for the discount thinking they have found a good deal. But that’s not all! If you try to close the payment page again, you’ll trigger another discount, cutting the final price down to just $47.95. For someone who’s hesitating to buy the program, getting a $50 discount will almost always result in a purchase. When you think about it, this is the last red flag that should have triggered your skepticism. If the program is really as good as they claimed, why would they subject themselves to discount after discount? It’s as if they are begging you to buy into a scam. And indeed, it is exactly what’s happening right there. Should I Buy Learn How To Academy? Wish I read this BEFORE I signed up!! And while he boasts a money back guarantee I can’t seem to get my refund. It’s nearly inevitable to get scammed once or twice with internet opportunities since there are internet scams everywhere. I got scammed a few times too, just take it as a learning experience and move on to the legitimate opportunities.